Furniture solution for iMac Computer Suite. 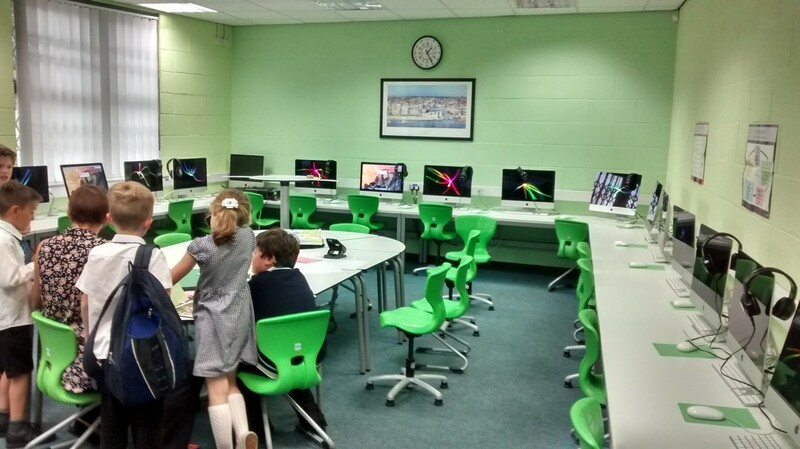 The brief for the teaching space was for a computer suite which could house a number of large 27inch iMacs with a space in the centre for flexible, yet collaborative learning. zioxi began by designing bespoke cable managed T02 computer desks to fit around the perimeter of the classroom. The t02 desk is a simple, yet effective computer desking solution – the tables include an integral modesty panel with horizontal cable management trays, so no messy cables and wires trailing underneath the desk! 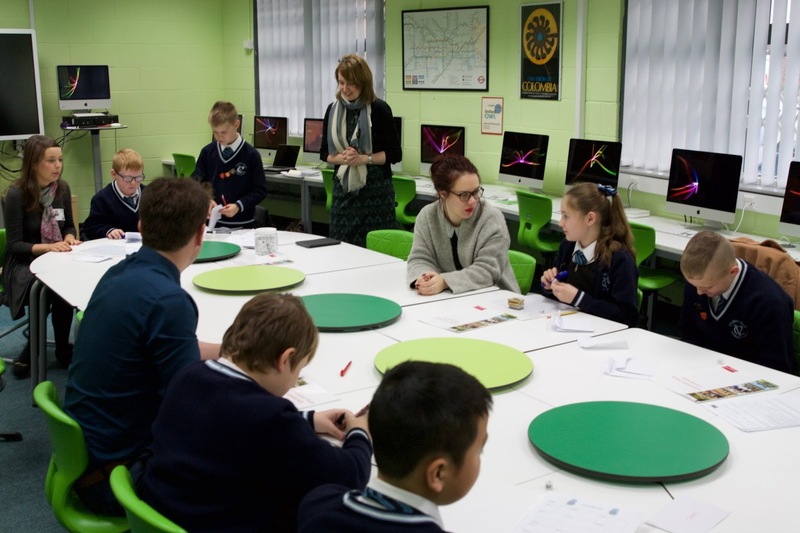 In the centre of the classroom space is a large cluster of zioxi’s flexible t41 desks. These reconfigurable desks can accommodate up to 14 students who can work together on collaborative projects. These tables can be quickly rearranged to make smaller groups when needed. A splash of colour was added to the layout using the t41 central tables that fill the hole in the centre of the t41 cluster. These tables provide a great place for storing or displaying classroom resources.